Despite an overnight rise, these waffles are meant to be whipped up on a whim, on those late nights when you just know brunch is in the cards. To honor that impulse, the batter comes together in five minutes flat, and in the morning there's nothing left to do but plug in your iron. Minutes later, you'll be enjoying crisp and fluffy waffles, rich with brown butter and chewy from the slow interaction of flour and water. Whether topped with maple syrup or strawberries and cream, they're the perfect start to your day. Cold milk tempers the heat of browned butter for a warm start to the yeast’s long rise. The high ratio of liquid ingredients will produce plenty of steam, helping the waffles puff. A pinch of baking soda raises the batter’s pH, improving flavor and browning. For the Batter: Melt butter in a 3-quart stainless steel saucier or saucepan, stirring and scraping with a heat-resistant spatula as it bubbles, and cook until golden brown. Remove from heat and immediately stir in sugar, salt, and milk, followed by egg. Sift in flour and stir until smooth. Add yeast and baking soda last, stirring to combine. Cover and refrigerate overnight, between 12 and 18 hours. The batter should be gooey and spongy at this point. 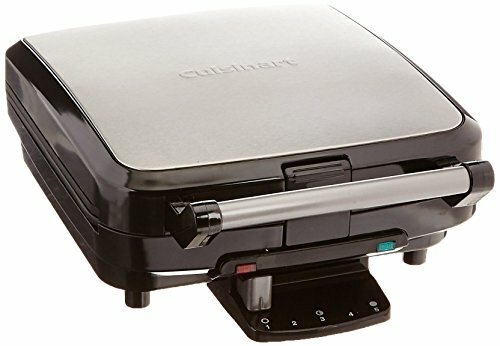 For the Waffles: Set waffle iron to medium and preheat until the indicator is ready; if using cast iron, brush lightly with safflower, vegetable, or canola oil. For an 8-inch square machine, scrape in half of the batter per batch. For a 7-inch Belgian machine, scrape in about one-third. Close lid and griddle until golden brown but still steaming, 5 to 7 minutes depending on the depth and heat of your machine. (Cooked waffles can be held on a rack in a 200°F oven while remaining batches are cooked.) Serve immediately with maple syrup, Lemon Chantilly, and/or strawberries. 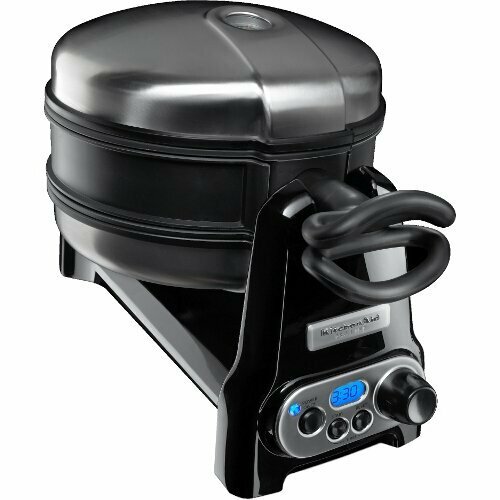 From size and depth to heat settings and materials (cast iron versus nonstick), waffle irons vary considerably from brand to brand; a small test waffle is a low-risk way to determine how the batter behaves on your machine.